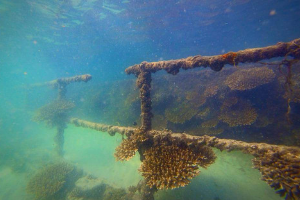 The Moreton Island wrecks are a well-known landmark that you must not miss while visiting Moreton Island, as the splendid beauty of nature and mystery of history await discovery there. 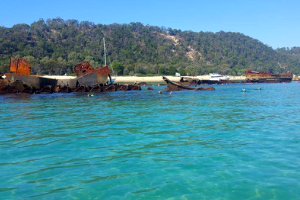 The Moreton Island Shipwrecks are also known as the Tangalooma Wrecks. Their history dates back to 1963, when a group of boat owners requested the construction of a man-made harbour just off the island. Fifteen vessels that were deliberately sunk to form a breakwall for small boats also creating an amazing wreck dive and snorkel site. Snorkelling and scuba diving at this site is an incredible adventure. 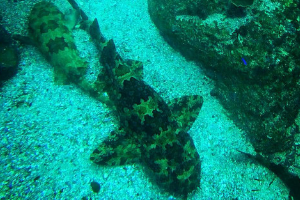 One of the most attractive features of the Moreton Island wrecks is the variety of sea creatures that are found at the site. Splashes of darting colour liven up the shallow, sun-flecked water as colourful tropical fishes, Kingfish, yellowtail, and other inhabitants of the wrecks appear as if to evaluate the visitors each day brings. The wrecks are also home to sea urchins, coral reefs, and wobbegongs. Accustomed to human presence, the inhabitants of the wrecks do not shy away from snorkelers or divers, meaning they stay inches away from visitors. The depth of the dive site at the wrecks is between 2-12 m, which is deep enough for an amateur or an experienced diver. The amazing visibility of the crystal-clear waters ensures a great view of the surroundings and the fishes when you are snorkelling or diving. 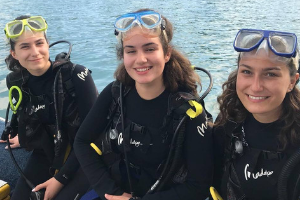 Whether you are an experienced diver or new to snorkelling, you would have the same amount of fun spending time at the wrecks. "Great trip arranged by Subsurface Scuba! Thank you for taking us to Moreton Island. We had a fantastic day."